I was glad they cast Judi Dench. spoof confession. Wallpaper and background images in the ハリーポッターｖｓトワイライト club tagged: harry potter mcgonnagal judi dench movie cast. 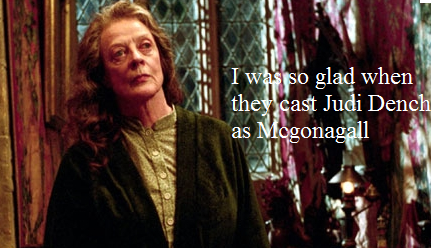 oh God you really better be trying to be ironic its MAGGIE SMITH YOU IDIOT!